This newly re-designed Cambridge model is set to be one of the very first available homes in Amariah Park in late February 2019! This home's list price reflects up to a 5% Builder Incentive credit already applied towards beautiful upgrades throughout the home. 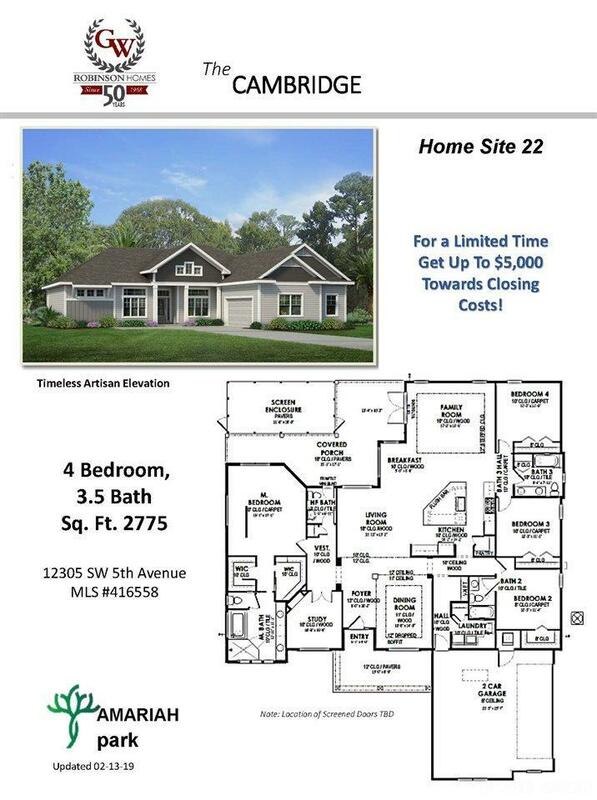 Act fast and the Builder will also include up to $5,000 towards your Closing Costs! 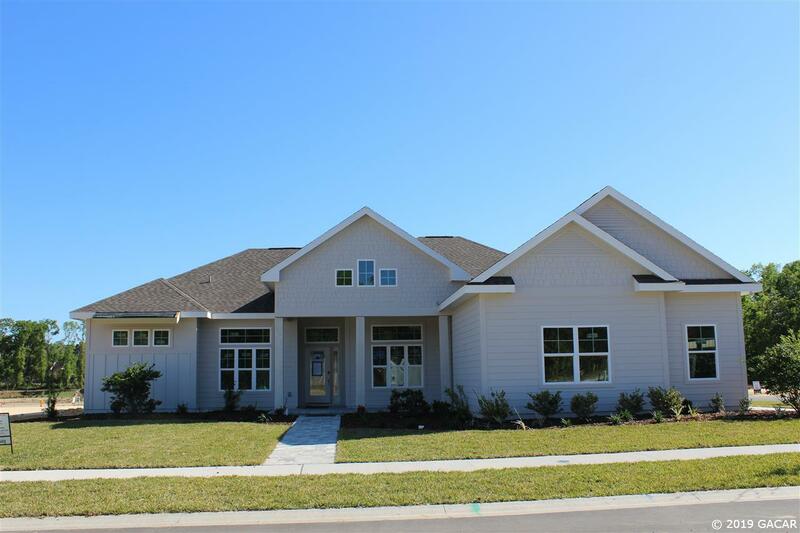 It is a 4 bedroom, 3.5 bath home and features a newly designed kitchen. Interior details include granite counters in the kitchen and baths, decorative kitchen backsplash, stainless steel appliances, wood cabinets for kitchen and baths and tile flooring in the main living areas. Additional features include several smart home technology features, paver finished driveway and walkway, and wonderful traditional styled design selections. Amariah Park is our newest GW Robinson Homes development. Amariah Park residents will enjoy a community pool, playground, and relaxing walking trails. 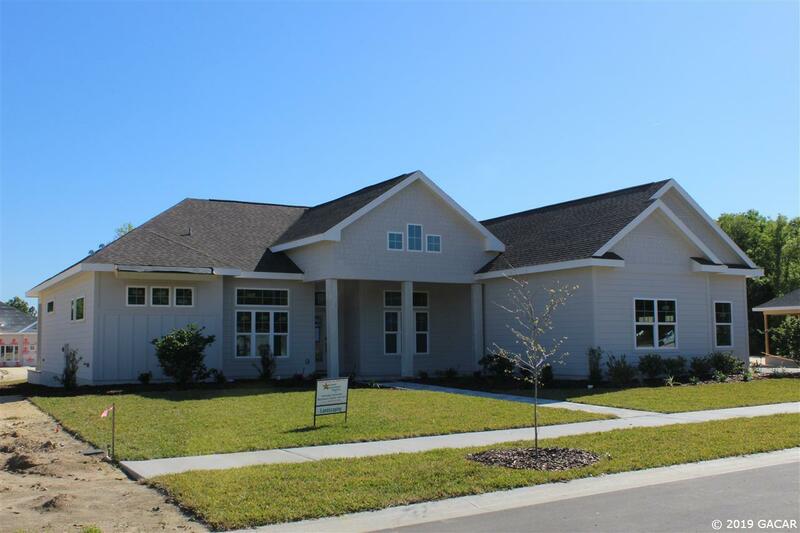 Amariah Park is located in a very desirable SW location close to Tioga shopping and just minutes from Celebration Pointe as well as being only around 10 miles to Shands and UF. Call us now and be one of the first proud new home owners in Amariah Park! 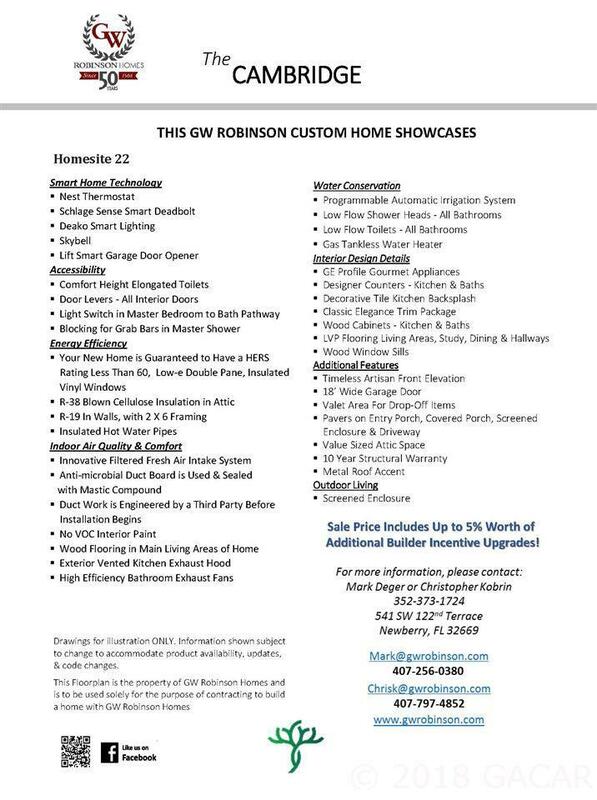 Listing provided courtesy of G W Robinson Realty Inc.